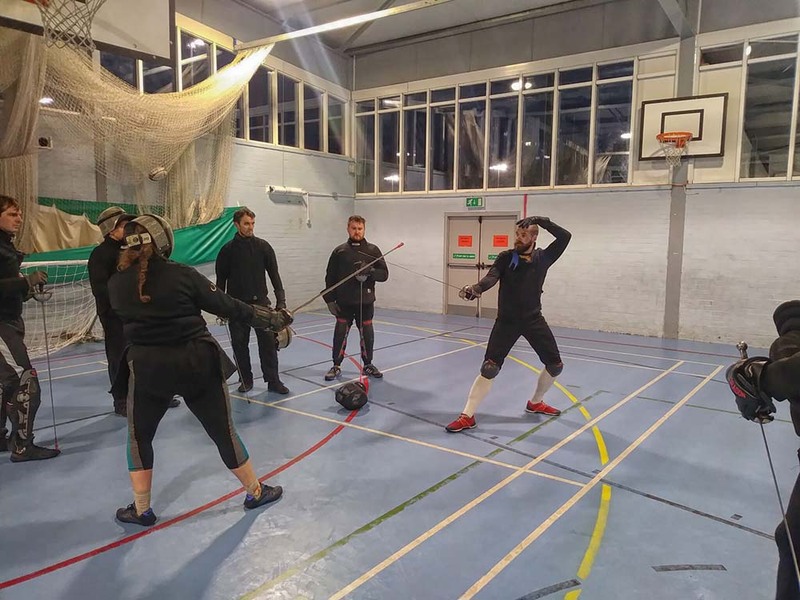 Wednesday night saw another of our regular training sessions in Godalming with two streams of training on offer to our students. 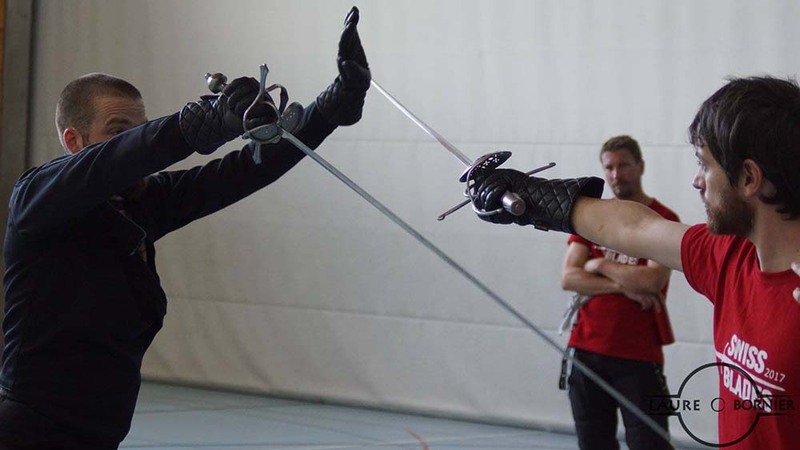 Pim worked with the rapier students whilst Fran worked with the Bolognese stream. 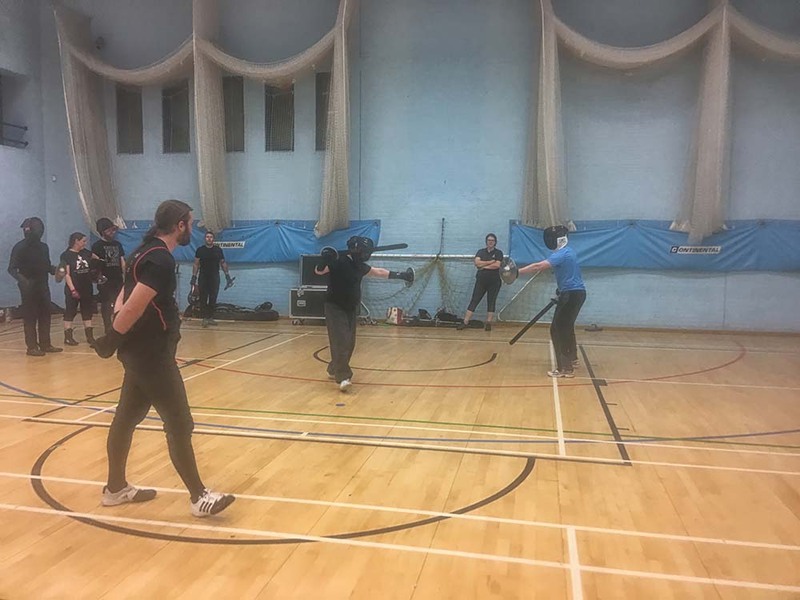 With the bank holiday next week, Monday night saw our last training session for the month. 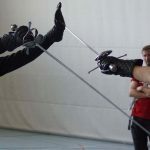 As always we had three simultaneous training streams on offer for students: Beginners, Bolognese, and Rapier & Dagger. 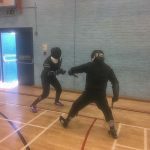 Thanks to Matt for the pictures! 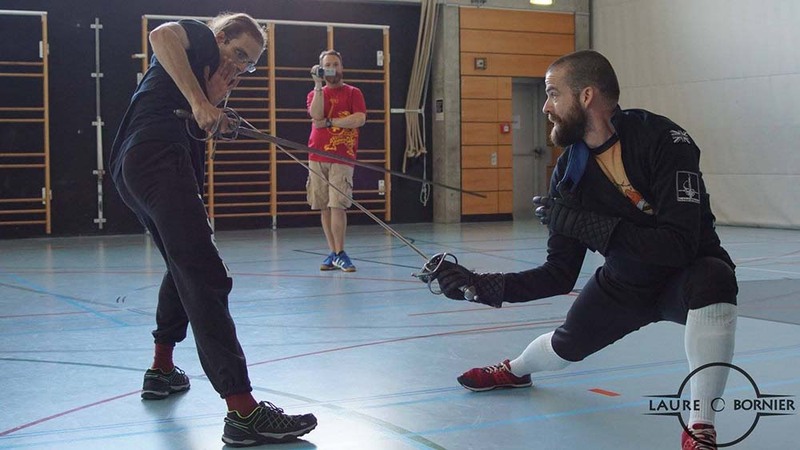 The School of the Sword was in Switzerland the weekend of the 19th & 20th August attending the Swiss Blades event. 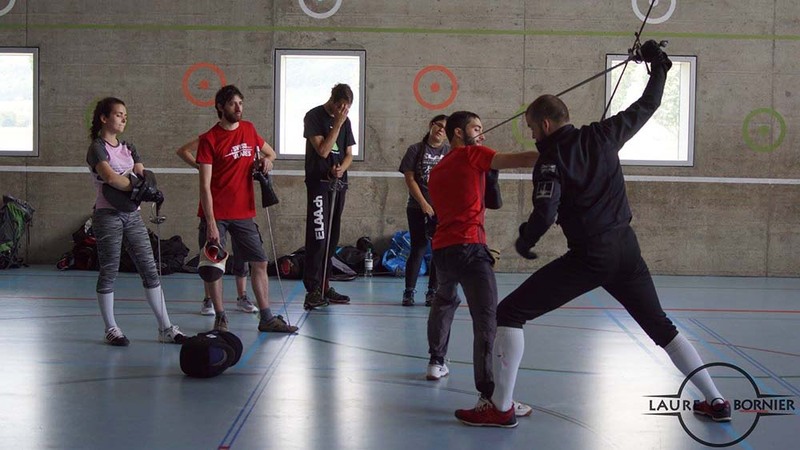 The Swiss Blades is an international Historical European Martial Arts event, organised by the HEMA division of the Association Médiévale Romande with 15 workshops over 2 days and a feder tournament. 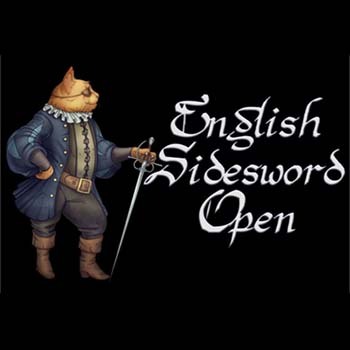 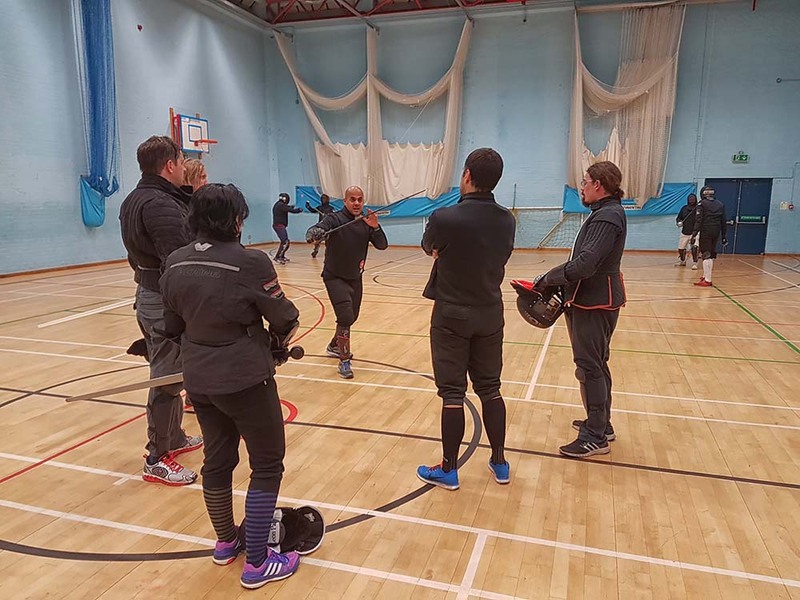 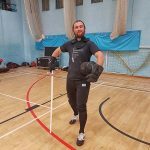 School of the Sword world-acknowledged instructor, Jay Maxwell, taught a workshop on the cutting rapier, examining the body and blade mechanics, and optimise movement and posture using analysis of solo and partner drills to improve speed, strength and efficiency. 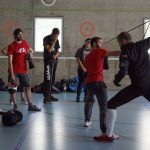 Thanks to Swiss Blades for the images. 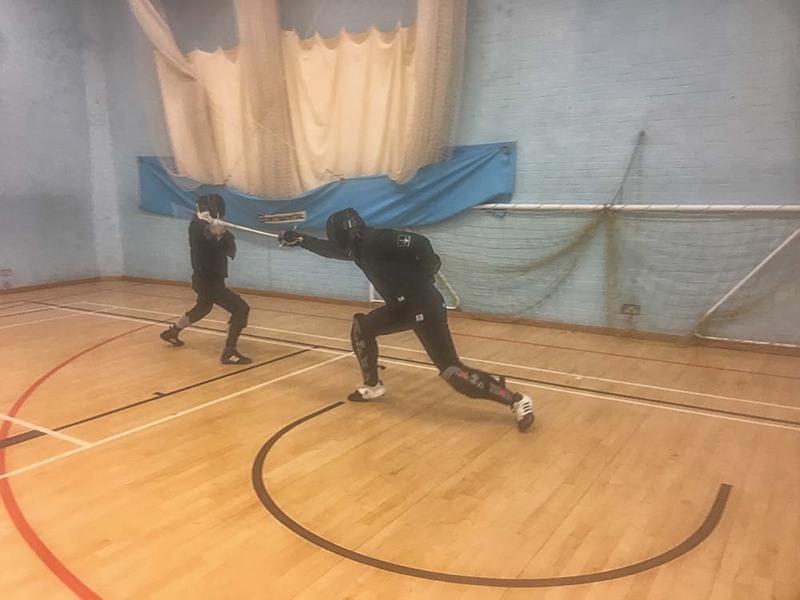 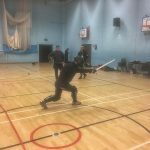 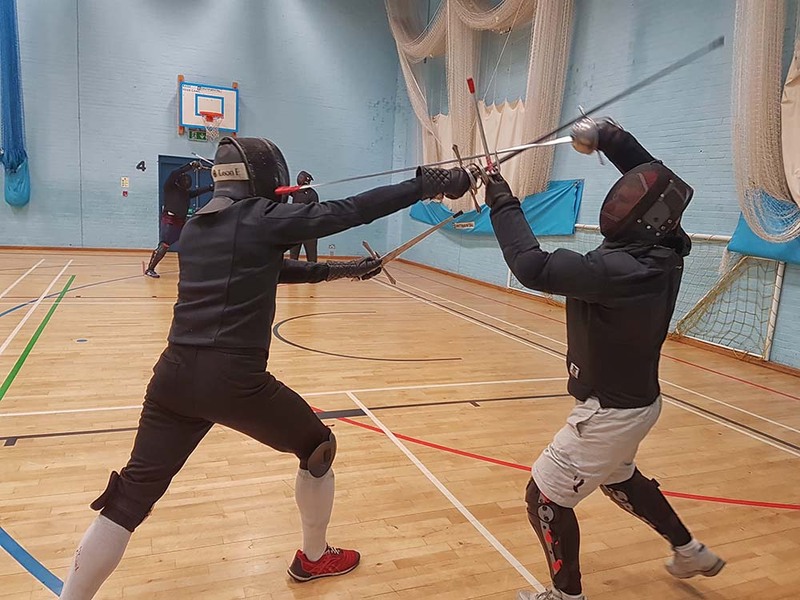 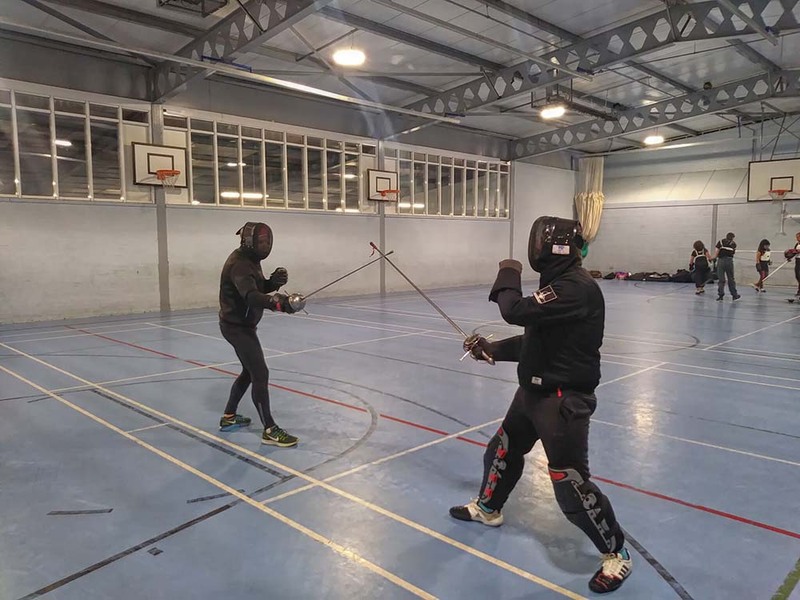 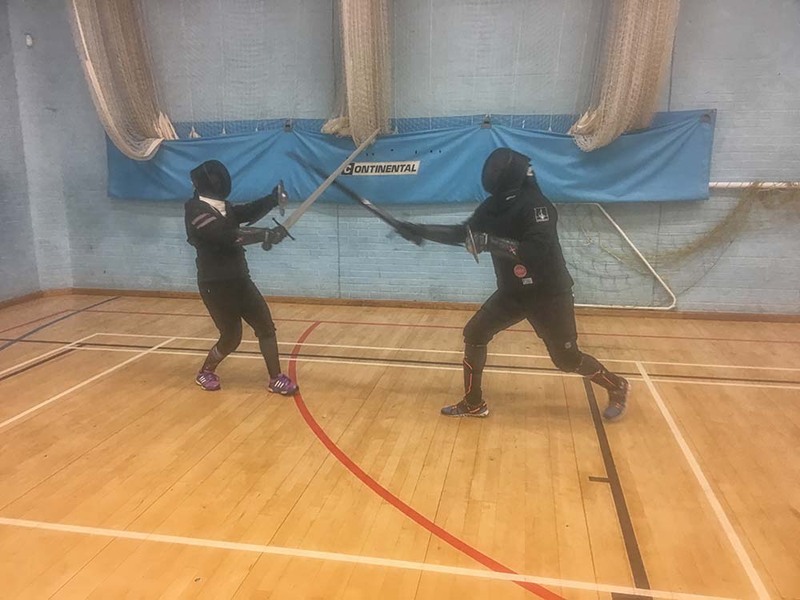 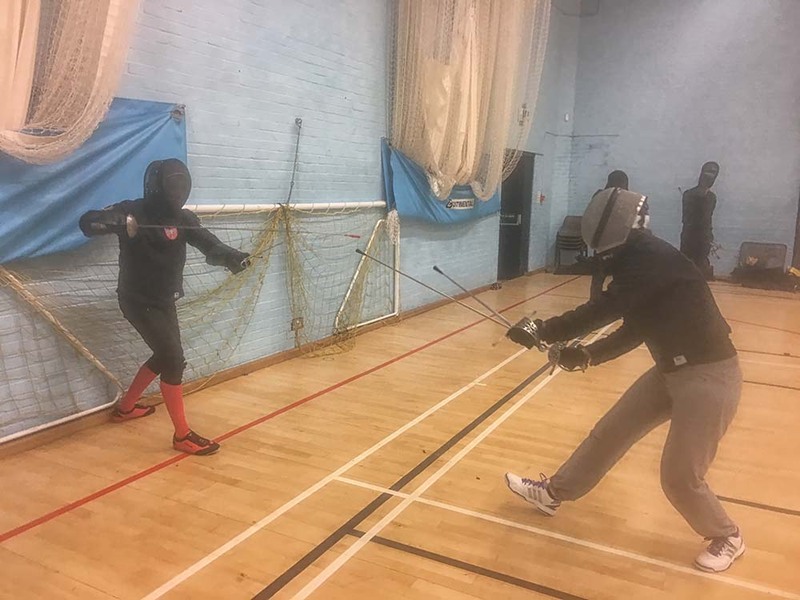 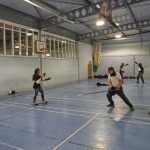 Sunday Sparring was in Reading this week with a number of weapon disciplines in play including rapier, dagger, sidesword, buckler and others. 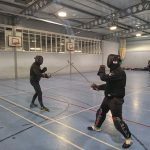 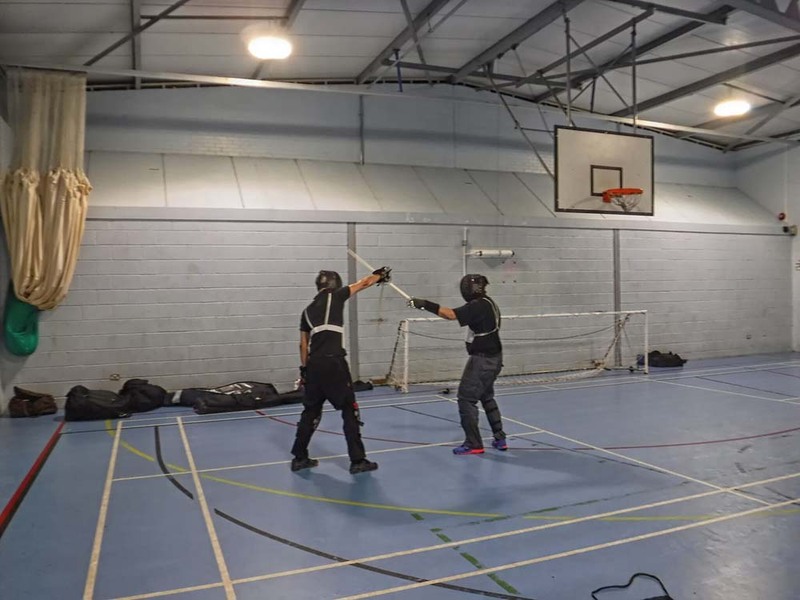 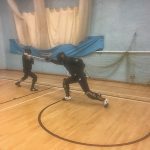 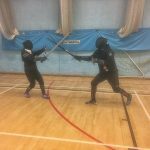 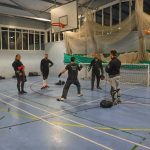 These free sessions for students allow them to get in some valuable sparring time, practising the techniques they’ve learnt in our training sessions. 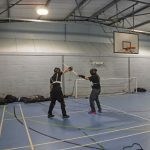 It also allows them to spar with people they don’t normally train with as well as try out some fun weapon combinations that are not part of our curriculum. 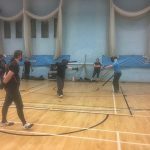 It seems our upcoming Beginners course in Godalming has been generating a lot of press interest due to Game of Thrones currently airing. 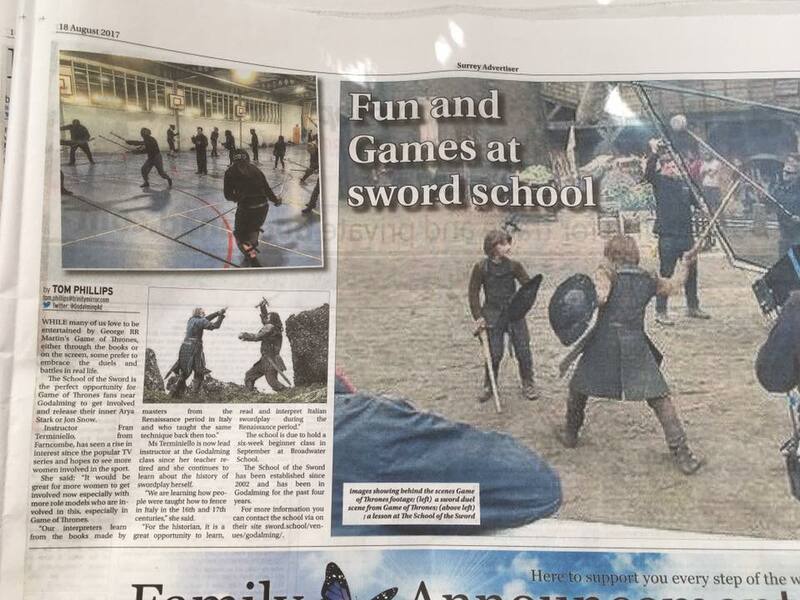 The Surrey Advertiser did a piece on us last week. 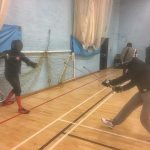 Our beginners courses fill out ridiculously quick and because we’re invested in making people competent swordfighters we don’t run them that often. 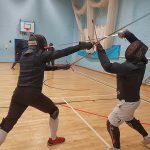 If you want to register your interest for our 2018 courses in either Reading or Godalming be sure to contact us. 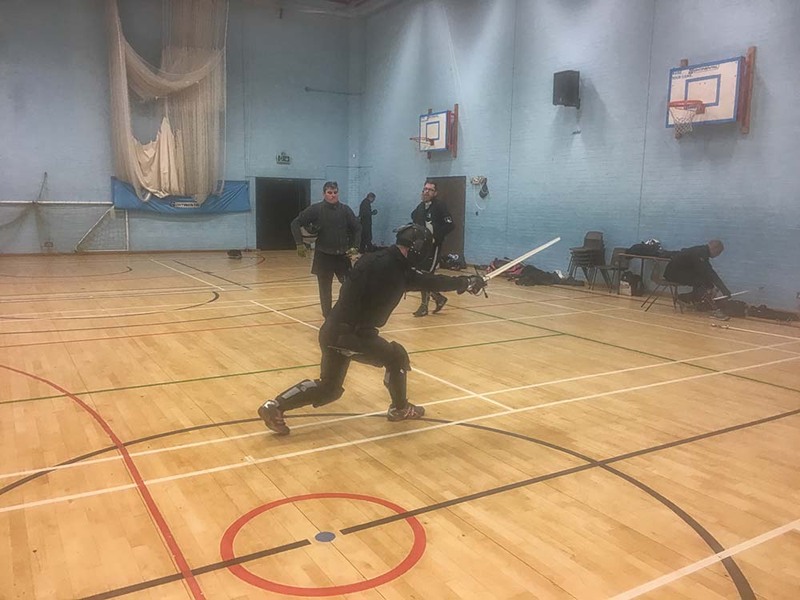 A delivery of new swords last Wednesday had students excited and eager to try out their new purchases in one of two training streams. 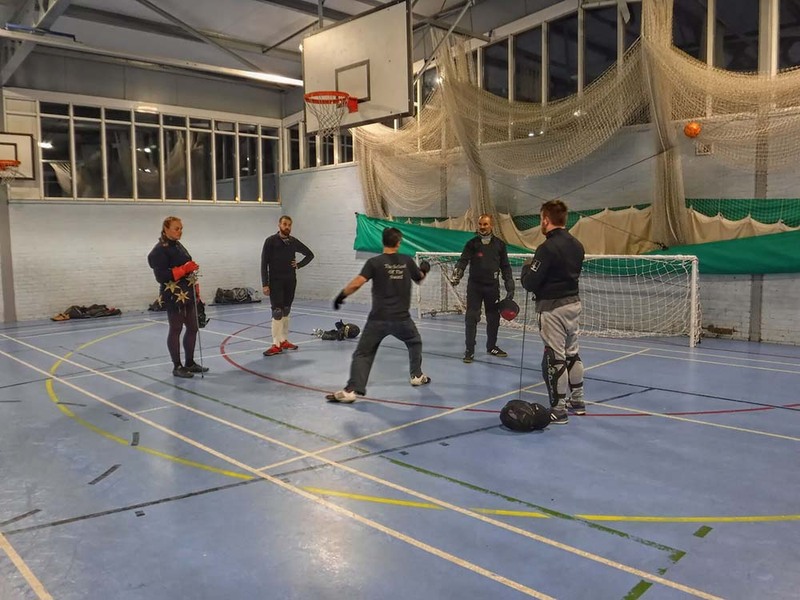 Students gathered in Reading last Monday night for our weekly training session with three streams of learning on offer. 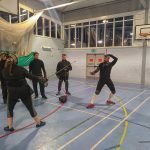 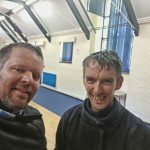 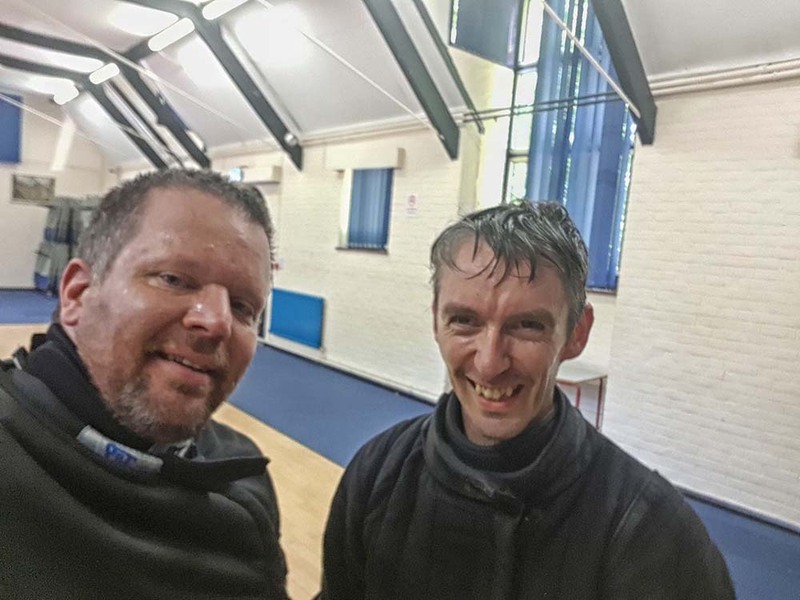 Pim took the rapier group through fundamentals of rapier & dagger, Stewart worked with the bolognese group, and Lizzie and Josh worked with the beginners on the foundations of swordplay. 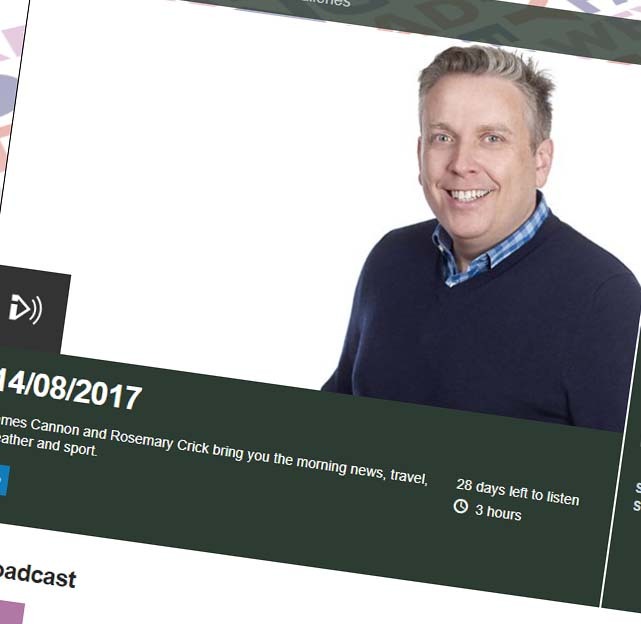 Lead instructor Fran Terminiello was interviewed on BBC Surrey radio earlier this week. 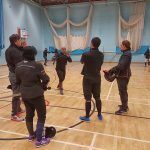 She spoke to presenters James Cannon and Rosemary Crick regarding the school and our upcoming beginners’ course. 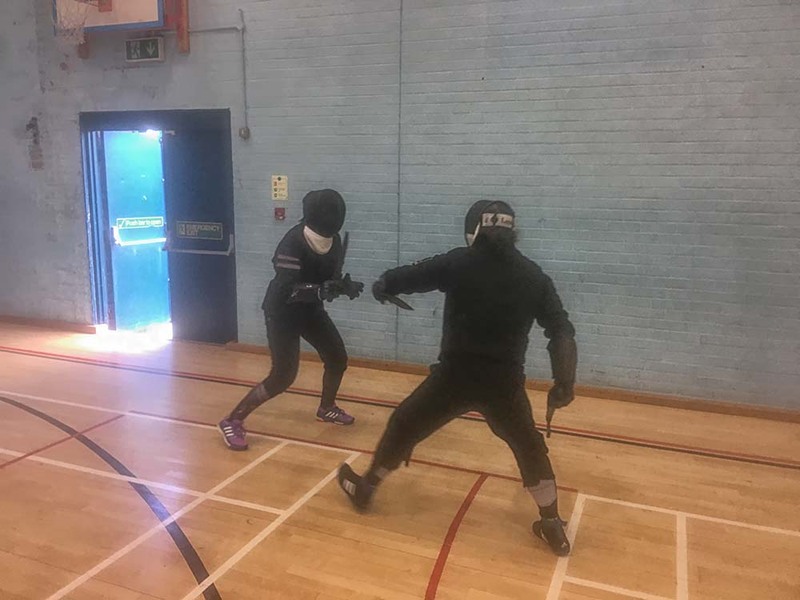 With a lot of our regular attendees away at Fightcamp this past weekend, it was done to a dedicated few to keep the home fires burning at Sunday Sparring this week. 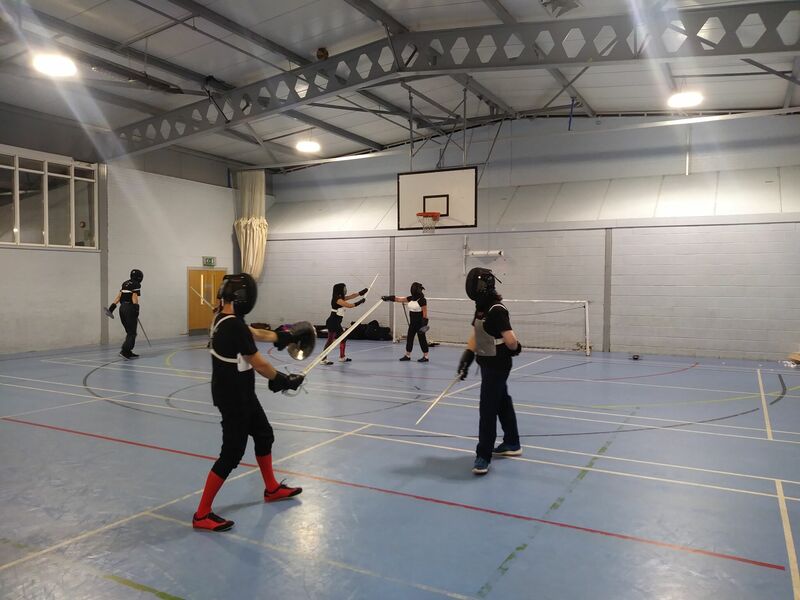 Despite the reduced numbers there was a lot of swordfighting, interspersed with regular water breaks. 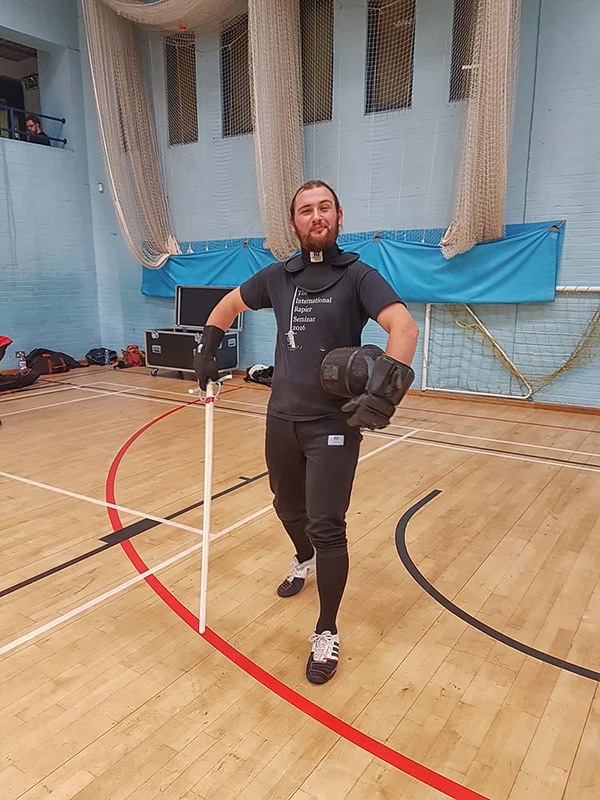 Thanks to Chris for the picture. 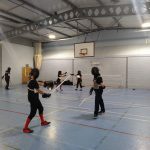 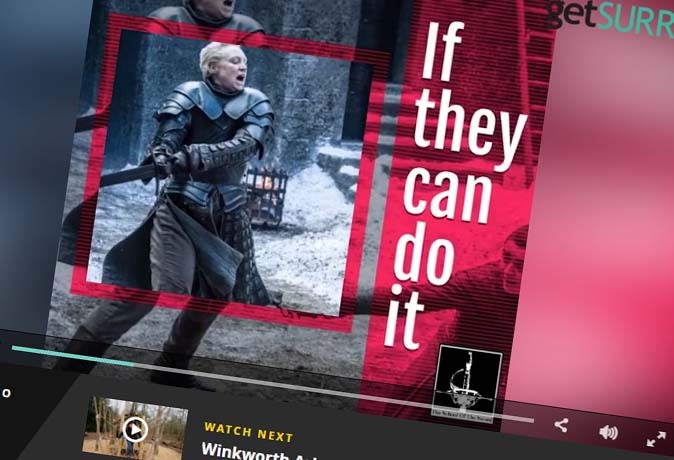 With last week’s Game of Thrones featuring a swordfight between two female characters, The School of the Sword took the opportunity to put a little video together for our social media channels to promote our upcoming beginners classes taking place in Godalming from September. 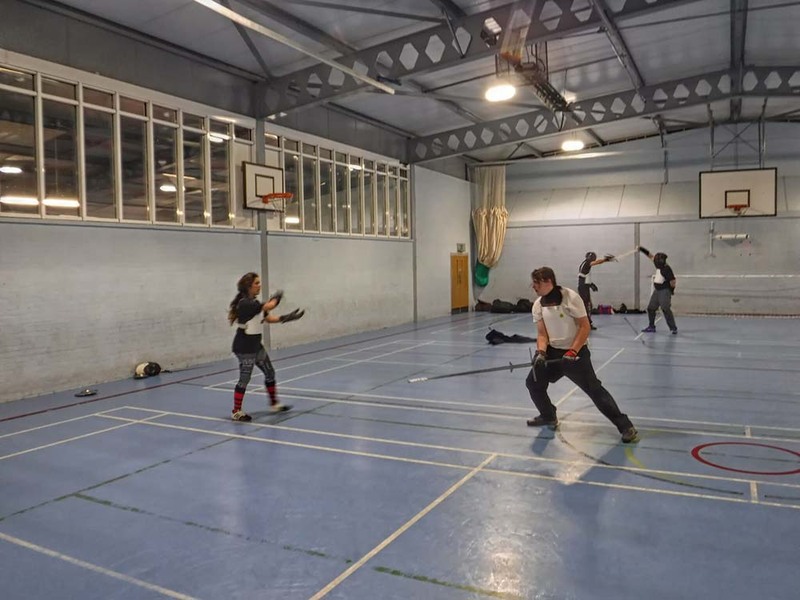 The school has a very diverse membership and we are keen to encourage more women to take up historical swordfighting. 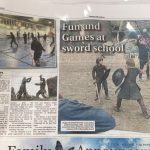 The video got the attention of local news, and has been featured as part of an article on the school on the GetSurrey website. 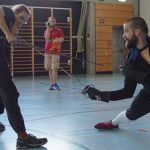 Be sure to check out the article.